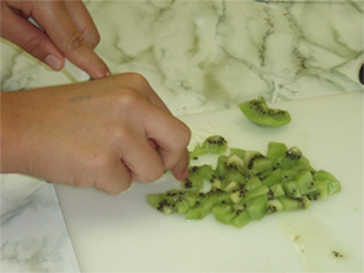 Blending the local with the exotic, Strawberry-Kiwi jam is a flavorful extension of a classic strawberry jam. Strawberries are plumping up on farms in the southern states. If you’re farther north, then you might want to save this recipe for June or July when you’ll have fresh berries of your own. Or, you can pluck some strawberries off a shelf at the grocery store while you are purchasing the more exotic ingredients that most likely don’t grow close to home: kiwis and (crystallized) ginger. Wash canning jars and keep warm. Prepare two-piece canning lids according to manufacturer’s directions. 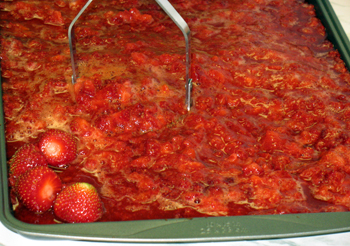 Combine strawberries, kiwi, lemon juice, ginger and pectin in a large saucepot. Bring quickly to a boil, stirring frequently. Add sugar, stirring until dissolved. Return to a rolling boil. Boil hard 1 minute, stirring constantly. 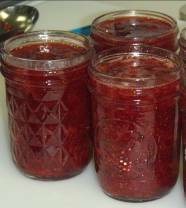 Ladle hot jam into hot jars, leaving ¼ inch headspace. Process in a Boiling Water Canner using recommended process times in the table below. 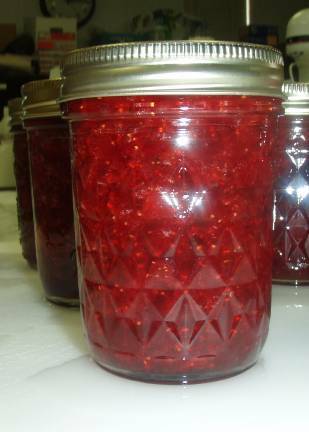 If you’re not able to access the Step-By-Step instructions, then go to http://nchfp.uga.edu/how/can7_jam_jelly.html and click on “Step-By-Step Preserving Strawberry-Kiwi Jam”. 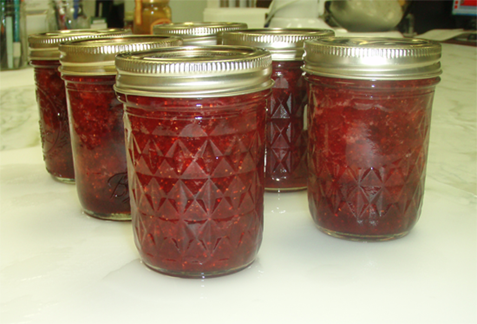 This entry was posted in Canning, Jams and Jellies, Recipes and tagged boiling water canner, crystallized ginger recipes, jam recipe, seasonal recipes, strawberry jam, strawberry jam recipe, strawberry-kiwi jam, strawberry-kiwi jam recipe on May 7, 2013 by nchfp. If you’ve had enough sweets, but you’re still looking for a way to brighten up the winter days, try mixing together a spicy red hot sauce! This recipe is easy to follow and uses ingredients that are available no matter what the season. Easy Hot Sauce is great for stirring into vegetables or cheese dips and spicing up soups and chili. This recipe yields four half-pint jars. Wear gloves when handling, cutting and seeding hot peppers or wash hands thoroughly with soap and water before touching your face or eyes. 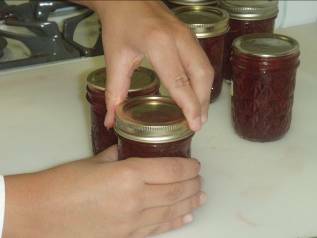 Start by washing half-pint canning jars; keep hot until they are filled. Prepare lids according to the manufacturer’s directions. Next, place mixed pickling spices in a spice bag and tie ends firmly. Mix all ingredients in a Dutch oven or large saucepan. Bring to a boil, stirring occasionally. 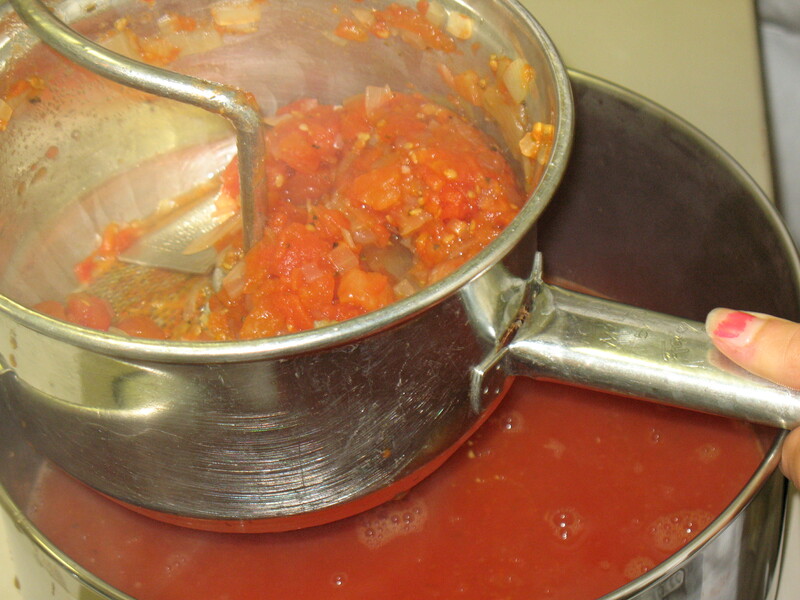 Simmer for 20 minutes or until tomatoes are soft. 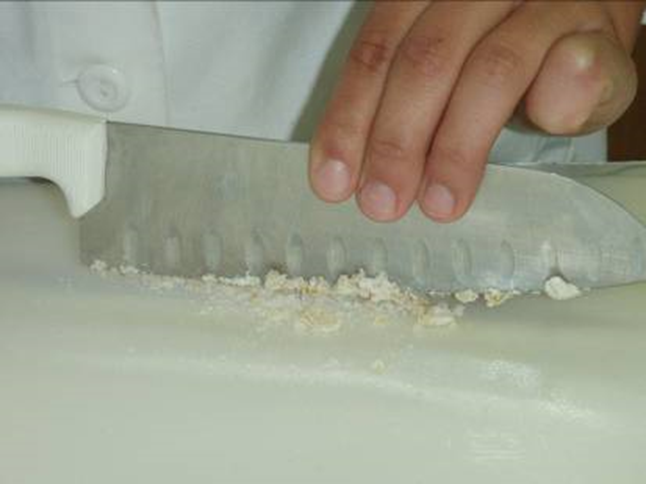 Press mixture through a food mill. Return the liquid to the pot, heat to boiling and boil for 15 minutes. Fill hot sauce into clean, hot half-pint jars, leaving ¼-inch headspace. Remove air bubbles and adjust headspace if needed. Wipe rims of jars with a dampened clean paper towel; apply two-piece metal canning lids. 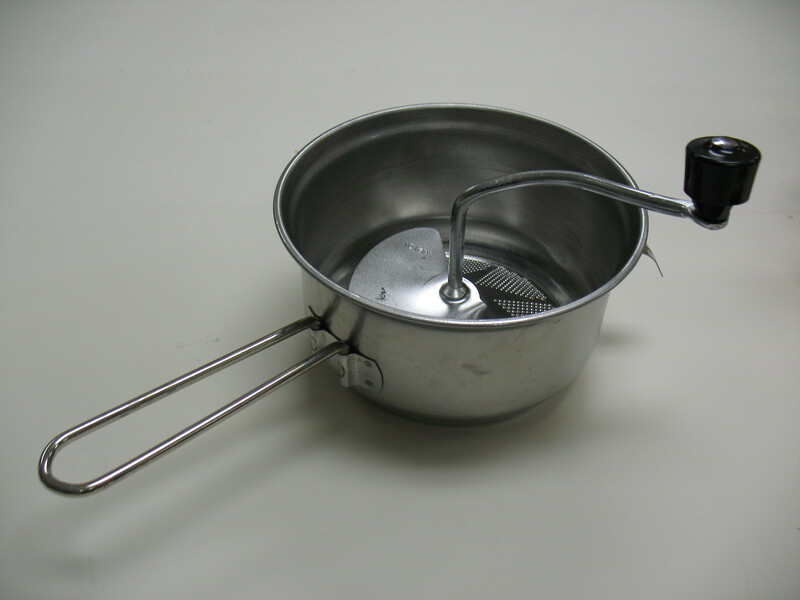 Process in a boiling water canner for 10 minutes (15 minutes if 1,000-6,000 ft. altitude; 20 minutes if over 6,000 ft.). Allow hot sauce to cool, undisturbed, for 12 to 24 hours and check seals. You can remove screw bands after the food has cooled if the lids are sealed. 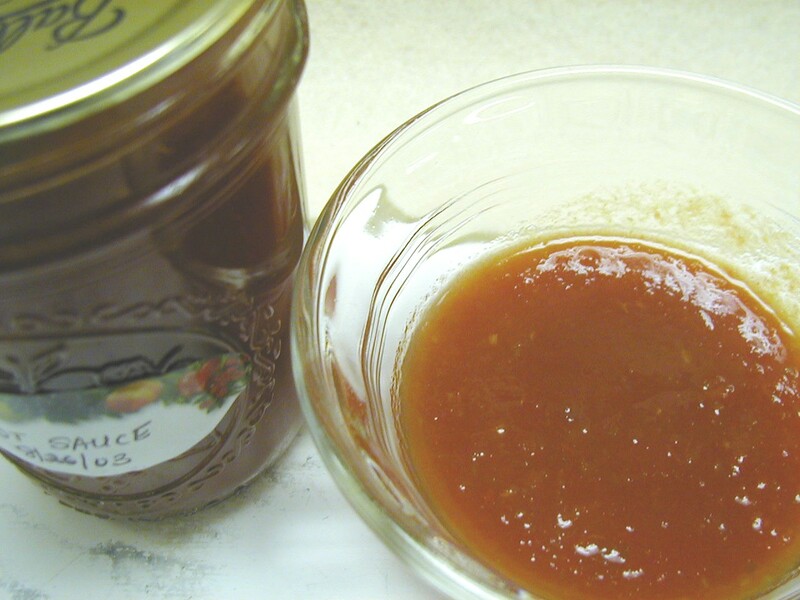 This entry was posted in Canning, Recipes, Seasonal Food Tips and tagged boiling water canner, easy hot sauce recipe, Gifts, Holidays, hot sauce recipe, seasonal recipes, winter canning recipes on February 14, 2013 by nchfp.